In the Gaming World, Sony’s PlayStation 3 has its own place that no newer system can replace. The PS3 Controller, the Dualshock 3 also holds its special position in the gamer’s hearts. However, the Dualshock 3 is not the easiest controller to use on PC as compared to Xbox one controller or Dualshock 4. Still, a lot of users, including me, prefer to use the PS3 controller over any other one on my computer. This is due to several factors, and the most important one being the pressure-sensitive analog face buttons. These make the Dualshock 3 the best choice for emulating PS2 games with PCSX2. For example, Metal Gear Solid 3 just doesn’t play right without those analog buttons. The feel of Sony’s PS3 controller matters. 1 How to use PS3 Controller on PC? The Dualshock 3 is neither the toughest nor the easiest to use on PC. Nonetheless, it is worth it. That’s why, I’m presenting this Guide here which will tell you How to use PS3 Controller, the Dualshock 3 on your computer. The process is really simple and fun. Just keep reading carefully and do as I say so. Before installing your controller you need to have some software installed in your PC. You can find all the download links below. 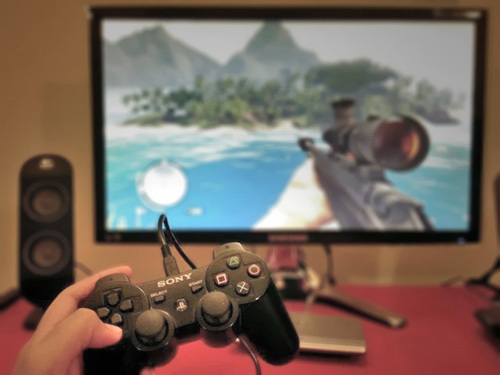 After making sure that you have all the requirements fulfilled, proceed further to use PS3 Controller on PC. Step-1. Download the software listed above, and start by installing the four Microsoft packages. If you are using a Windows 7 PC, you’ll also need to install the Xbox 360 controller driver. On Windows 8 and 10, it’s already built in with the system. Key Note: Plug your Dualshock 3 into your PC with a mini-USB cable. Step-2. 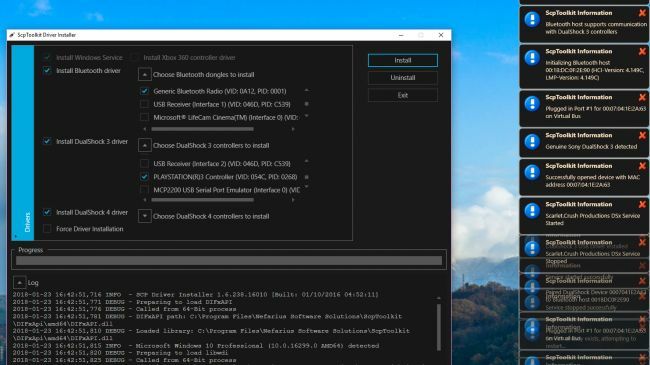 If you also want to be able to use the controller wirelessly over the Bluetooth connection, make sure you have a Bluetooth dongle plugged in or your motherboard’s Bluetooth is enabled. ScpToolkit notes you need a Bluetooth 2.0 or higher dongle that supports Enhanced Data Rate (EDR). If you don’t want to use PS3 Controller wirelessly, simply skip this Step. Step-1. 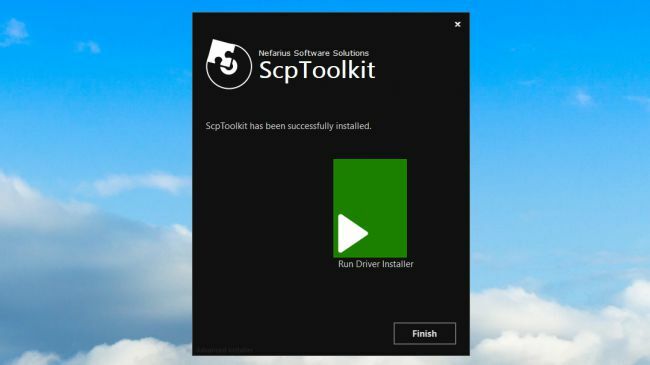 Download ScpToolkit and then run the installer. After accepting the terms & conditions, and choosing your install location, you’ll get a menu of all the options to install, as in the screenshot below. 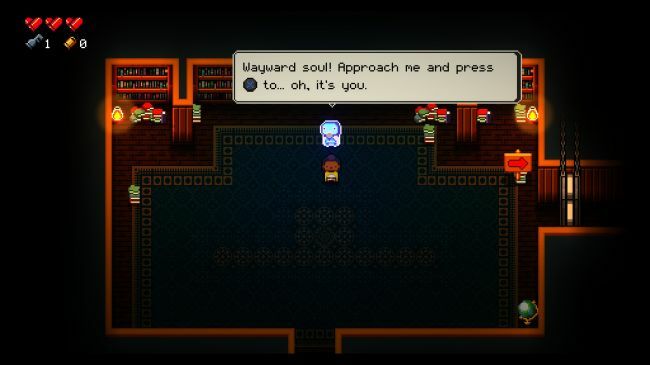 I recommend leaving this to the default. Click Install to begin the installation. 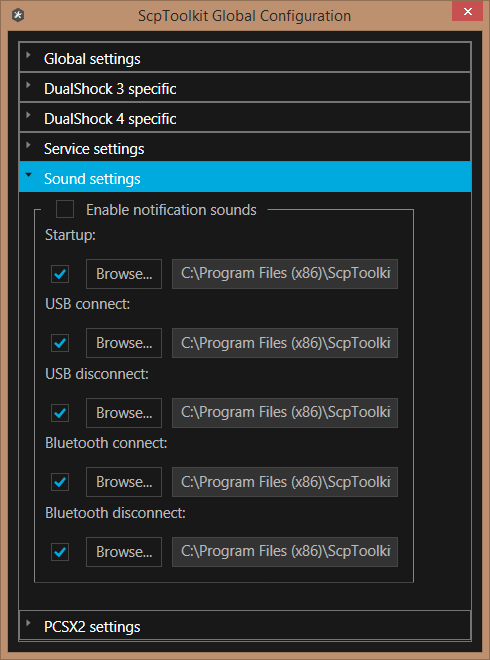 Note: Make sure the ScpToolkit Bluetooth Pair Utility option is ticked if you want to use the PS3 Controller wirelessly. Step-2. After approximately 30 seconds, ScpToolkit will be installed, and you’ll see the screen, with a big green button that says Run Driver Installer. As this is a fresh install, that is what we need to do. Click the big green button. Step-1. The next screen may look a bit complex, but it’s still pretty simple. Just check the boxes for the drivers you want to install. In our case, we want to make sure Install Dualshock 3 driver is checked (it should be checked by default). Then click the arrow next to “Choose Dualshock 3 controllers to install” to see a dropdown list of USB devices attached to your computer. Find the PlayStation 3 controller in the list and check it too. Note: Check if the “Install Bluetooth driver” box is checked. Like you did with the Dualshock 3, click the arrow next to “Choose Bluetooth dongles to install” and then find your Bluetooth device in the list. Check it. Another Note: If you are using Windows Vista, check the box for “Force Driver Installation.” Otherwise, leave it unchecked. Click Install. Step-2. Wait as the SCP Toolkit runs through its installation process. 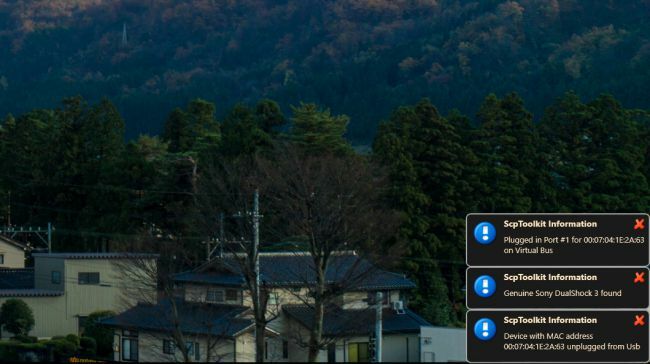 You can see lots of pop-ups on the side of your screen as it detects your hardware. Scroll to the bottom of the log and you should hopefully see “Dualshock 3 USB Driver installed” (and also “Bluetooth Driver installed” if you opted), indicating a successful installation. If everything went well, click Exit. Now that ScpTookit is installed successfully, you’ll see it as an icon in your system tray. 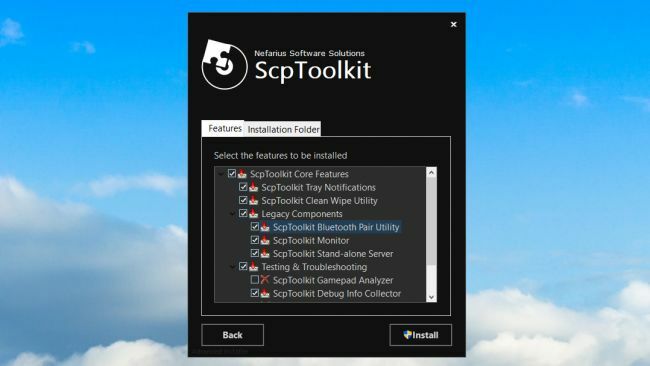 You can find the ScpToolkit Settings Manager in your Start menu. Here you can adjust some settings like disabling rumble, adjusting analog stick deadzones, and more. Most of these settings you should leave alone and not change unless you know what you are doing. Key Note: The PCSX2 settings tab allows you to patch the emulator’s LilyPad controller plugin to support the pressure sensitive buttons. If you want to use your PS3 controller with the emulator, click Browse to navigate to your PCSX2 installation folder, then click Enable to install the patch. As it is installed now, the Dualshock 3 will behave like an Xbox 360 controller. 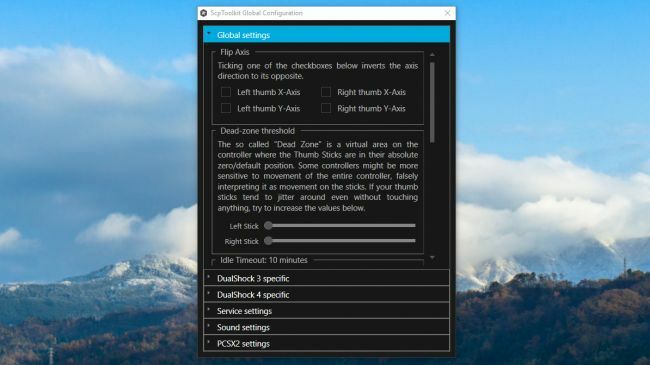 Any game with native XInput support (almost any modern PC game that supports gamepads) should recognize it without any problem. Unfortunately, this indicates that it won’t register as a PlayStation controller to the few games that have native DualShock 4 support, so you won’t get the proper Square/Cross/Triangle/Circle button icons by default. However, some games let you manually choose your button icons. You can look for that in the in-game settings. 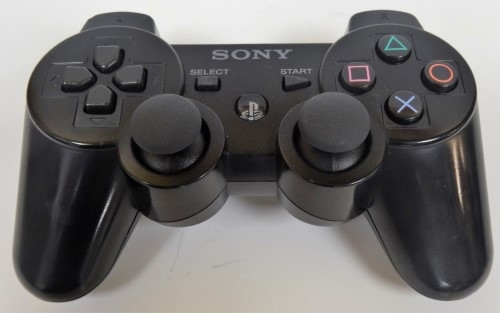 If you want to use PS3 Controller over the Bluetooth connection, and followed all the Bluetooth installation steps above, you should be able to use it very easily. Simply unplug the controller, and after a couple seconds, it will sync via Bluetooth. You’ll get a notification in the system tray when it does. Now you can use Dualshock 3 wirelessly. This works after a reboot, too. If you allow ScpToolkit to start with Windows, you should simply be able to plug in your PS3 controller again and it’ll instantly be recognized. Once the LED is on, unplug the controller, and it’ll once again be synced via Bluetooth. This is how you use PS3 Controller on PC. If you are faced any trouble while the installation or while using ScpToolkit or Dualshock 3 on your computer, you can visit the official thread at the PCSX2 forums to seek further help. Also, for Bluetooth connection related help, you should visit ScpToolkit’s Github discussions. For any queries, doubts or suggestions, feel free to visit the Comments sections below. Hope I helped you. Have a nice day, Folks!